Stefano Mangia (voice, melodica), Adolfo La Volpe (electric & acoustic guitars, electronics) and Giorgio Distante (trumpet, live electronics) unite forces to create a concept album of original songs to explore emotional nuances about the beauty of suspense. 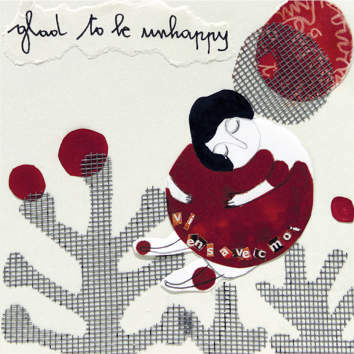 The starting point for the concept was a ballad "Glad to Be Unhappy" written by R. Rodgers/L.Hart. Sonic atmospheres of cinematic appeal: close-ups and wide shots in slow motion, aimed to capture a memory of a melancholic, sepia-tinged film, of a faded photograph, of an introspective intimacy. A screenplay graced with flashbacks of improvisation conceived as narrative changes of the scenery.